A few good men lending their skills on the trail - Robert Johnson, Jason Tie and Thom Barr. A hard working crew of Robert, Jason, Thom, Julia, Jen, Amanda, Janelle, Rachel, Karen, Olivia and Carl pause for a quick picture. 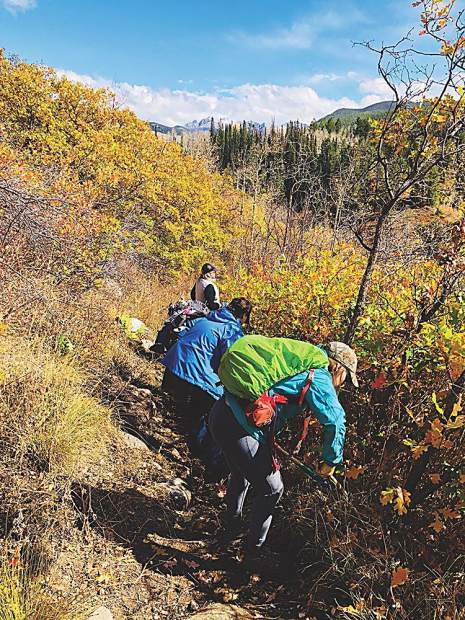 A perfect fall day outside on the trail with Roaring Fork Outdoor Volunteers. 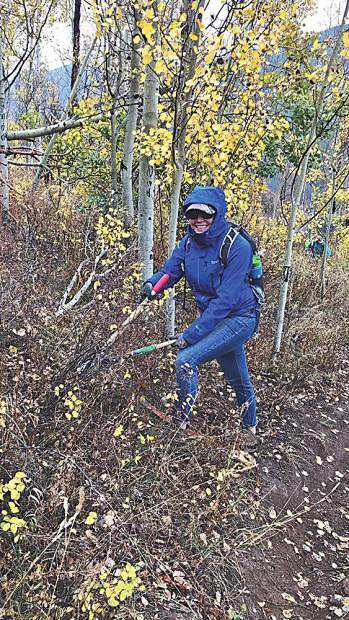 Clearing brush from the Lower Plunge Trail in Hunter Creek Valley. Amanda Taylor puts her time in on the Lower Plunge Trail. Hiking into Hunter Creek Valley for a volunteer day. 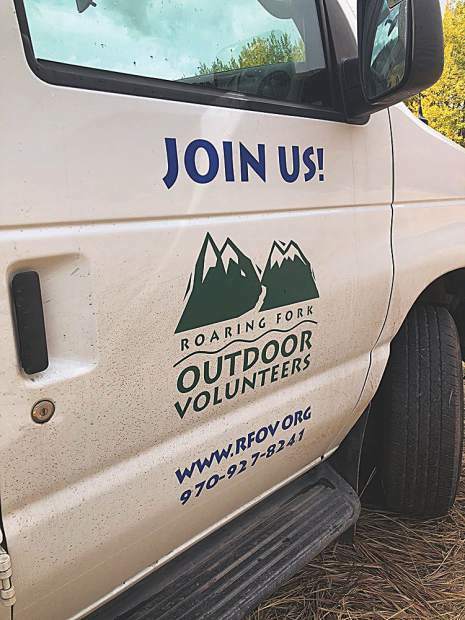 Spend a day with Roaring Fork Outdoor Volunteers and help protect our public lands. Tools for the trail from Roaring Fork Outdoor Volunteers' stash. 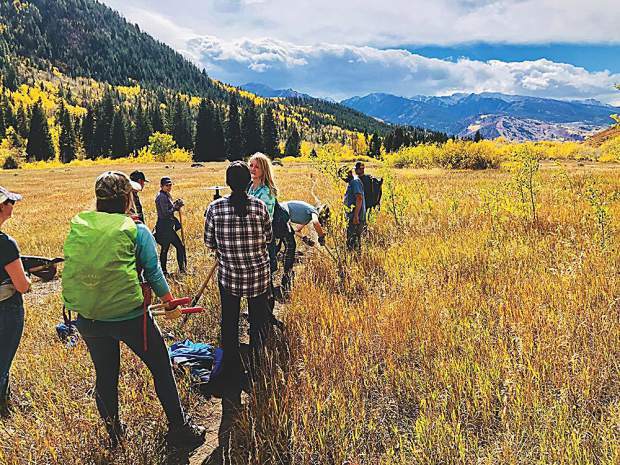 On a pristine fall afternoon last week, I joined a dozen friends for a mission with Roaring Fork Outdoor Volunteers (RFOV). 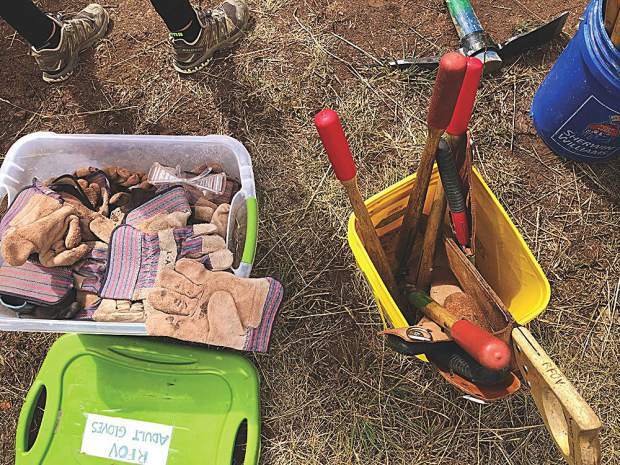 Our project assignment began with selecting tools from their cache including hand saws, loppers and shovels, then hiking to the Lower Plunge Trail in the Hunter Creek Valley. 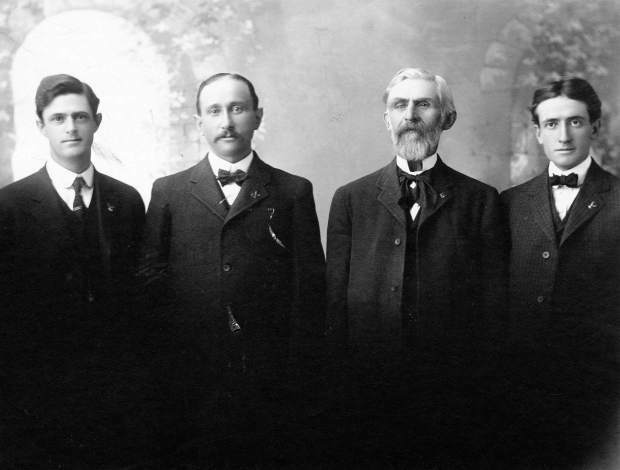 There we began the task of trimming branches and clearing overgrown brush, as well as digging trenches for drainages. The scenery and camaraderie made for a fulfilling outing, the second-to-last public project of the RFOV season. 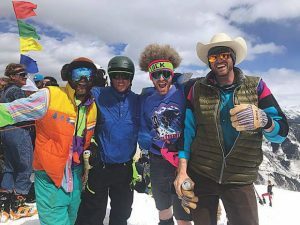 RFOV was founded in 1995 by a small group of locals who saw a need for a volunteer organization that could work in tandem with the public agencies and municipalities that manage, preserve and protect our public lands. 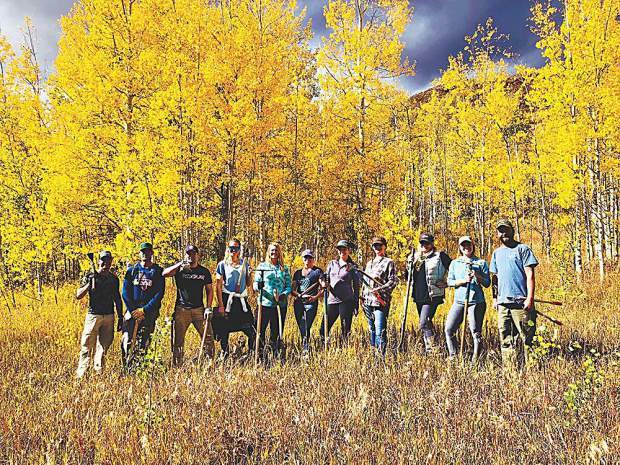 Now 23 years strong, their goal to support these land managers, as well as conservation-minded organizations, by providing a foundation of expertise and resources to complete high-quality, tangible projects has been a success. 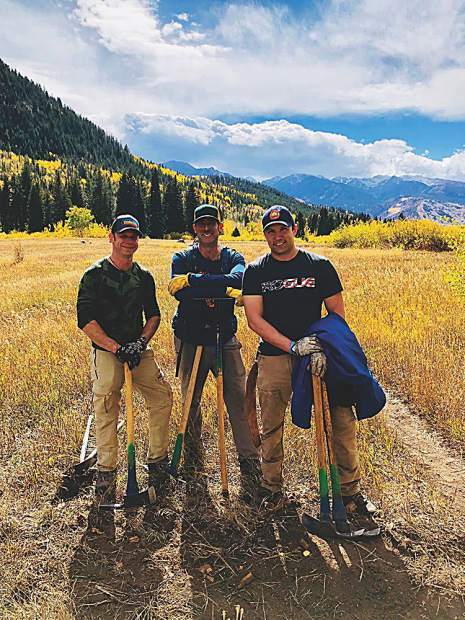 Modeled after the Appalachian Trail Club and Volunteers for Outdoor Colorado, RFOV uses community involvement and a “hands-on” method to foster a sense of stewardship of our abundant natural areas. Public projects are open to anyone and everyone looking to take care of our trails and wetlands. 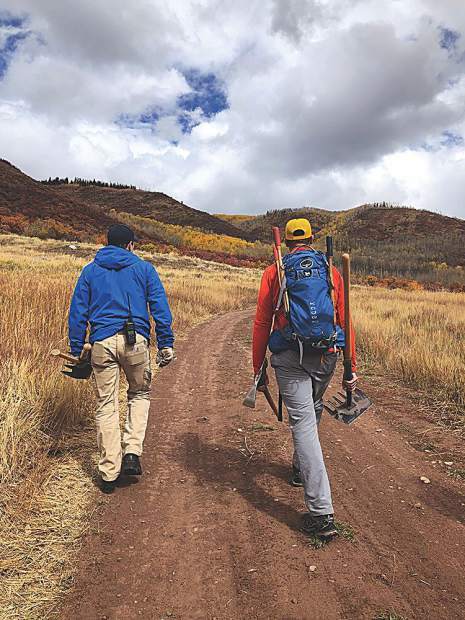 There’s just one more project for the 2018 season – this Saturday, Oct. 13, on the South Graham Mesa Trail in Rifle within walking distance of downtown. 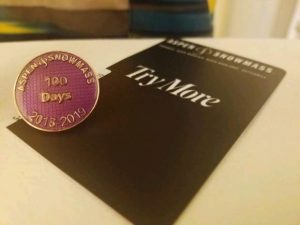 Volunteer work is from 8:30 a.m. to 4 p.m. with pizza and drinks to follow. 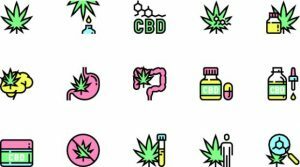 Learn more at http://www.rfov.org to sign up and receive a fact sheet with directions, what to bring and more.